Great Tastes Tuesdays! : DIY: Raspberries, Christmas and Quilts! On Tuesdays the recipe of the week is posted! So be ready every week! This recipe is so delicious! It is great to make with Sunday dinner or even to take to a Christmas party this year! Try it for yourself! Also, today we have some Christmas and gift ideas! Have you ever thought you couldn't ever be a quilter? Here is a pattern that any level of sewer can make in just a few days! It doesn't take long - maybe you can make a quilt for someone for Christmas. Mix these together and spread them in a 9 x 13 pan. Bake these at 350 degrees for 7-9 minutes. Spread this over the cooled pretzel crust. - Dissolve one 6 oz. pkg. of raspberry jello in 2 cups of boiling water. - Add 2 packages of frozen raspberries to your jello. - Pour this on top of the pretzel and cool whip that is already prepared in a pan. - Chill in the fridge for at least 2 hours and then enjoy your fruit jello salad! Give a gift to your friends now before the holidays get even more crazier! 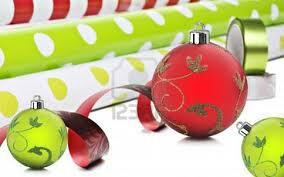 Just put some ribbon around a roll of wrapping paper and attach the saying! This is low cost, cute and easy. If you would like to use this for next year, look for wrapping paper that is on sale the day after Christmas and that will cut your cost way down! Here's a gift that's from our heart. That's only a few weeks away! Like so many delicious treats. And will not have to go and see the dentist. As Christmas will be coming oh so soon. Especially at this time of the year! Try this quilt for yourself - it looks so hard, but is pretty simple! First cut out your material. You need 9 different patterns and you cut 12 squares for each pattern. All of your squares will be 8 1/2 inches by 8 1/2 inches. Now on these I have used leftover material that I have so I don't have 9 different pieces of material, but remember it looks the best when you have 9. You can choose however you do this. 2. Next you will sew each strip together so that you have 3 strips of 3. On all of these squares you are going to use 1/4 inch seam. On most sewing machines this is just lining up the edge of the fabric with the edge of the foot on the sewing machine. 3. Third strip will be to sew your 3 strips together to make one large square block. 4. Now either with your scissors or rotary cutter you will cut right down the middle of one row of squares. 5. You will do this again by turning your square and cutting down the middle going the other way. 6. Now rearrange your 4 squares by twisting and moving them to how you would like them. 7. Now sew each of them together. 8. You are finished with your 12 squares and they look like you cut every little piece out!